While visiting London, I found myself at a cafe called Harris + Hoole. 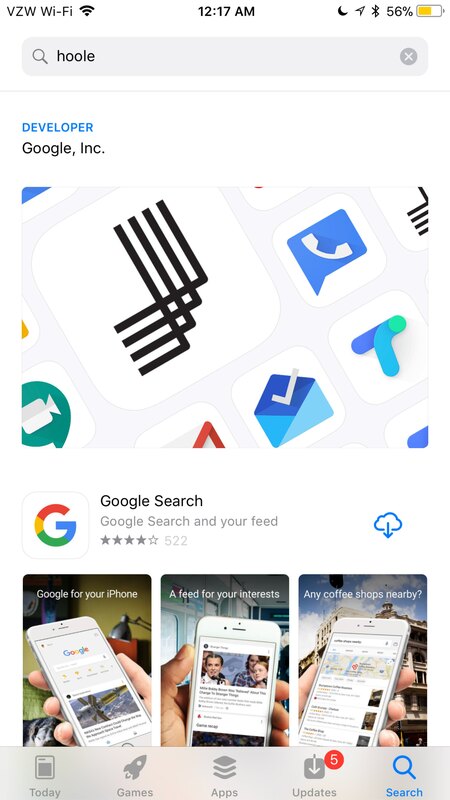 They happen to have an app, so I decided to search for it on the App Store. I typed in “Hoole,” and the search reults were all for Google apps. I was confused, until I thought: “Perhaps Google is having a little fun with the similarity to Silicon Valley‘s Hooli? Or maybe Apple is?